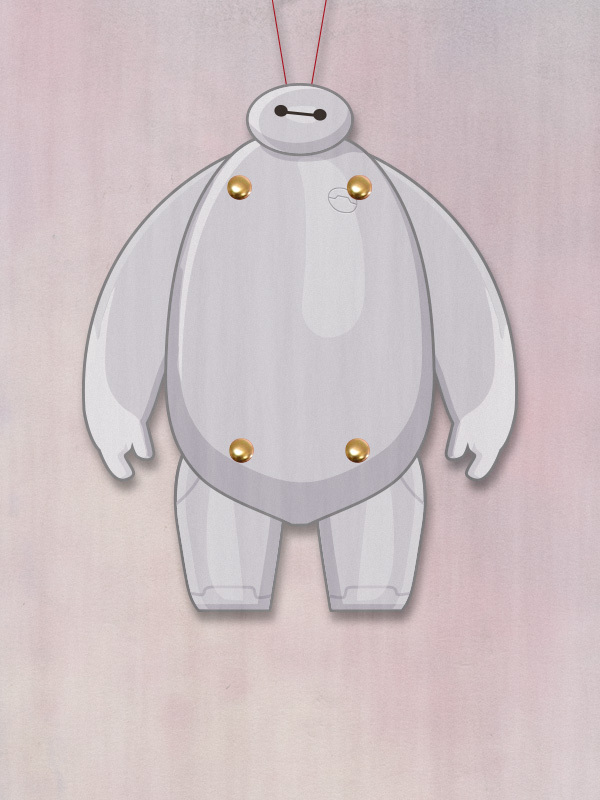 The new and funny animated superhero film Big Hero 6 is a new Movie from Disney. Big Hero 6 is set in the fictional Japanese city of San Fransokyo, and is centers on the child Hiro Hamada and his robot Baymax, together they fight the villains who have hijacked Hiro micro robots for use in the evil purpose. 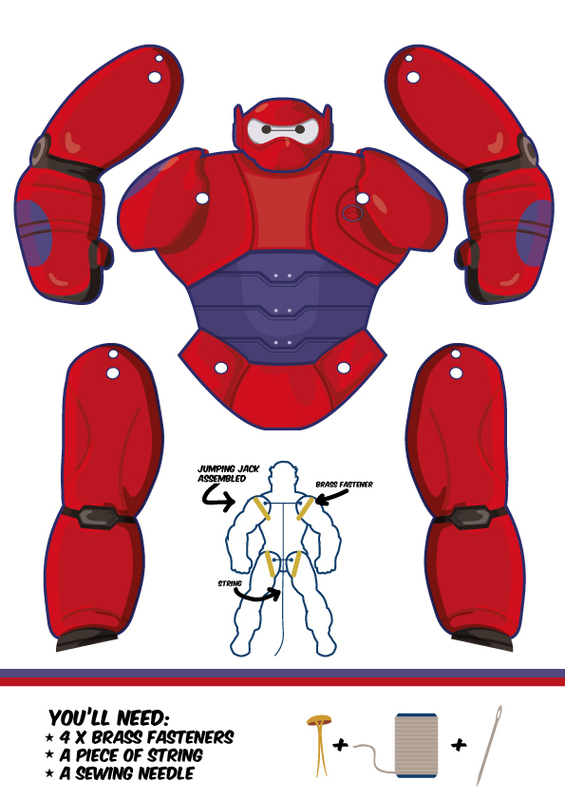 The robot Baymax is a really fun character, so therefore I have created two paper puppets or jumping jacks, so now you can get your own Baymax puppet . 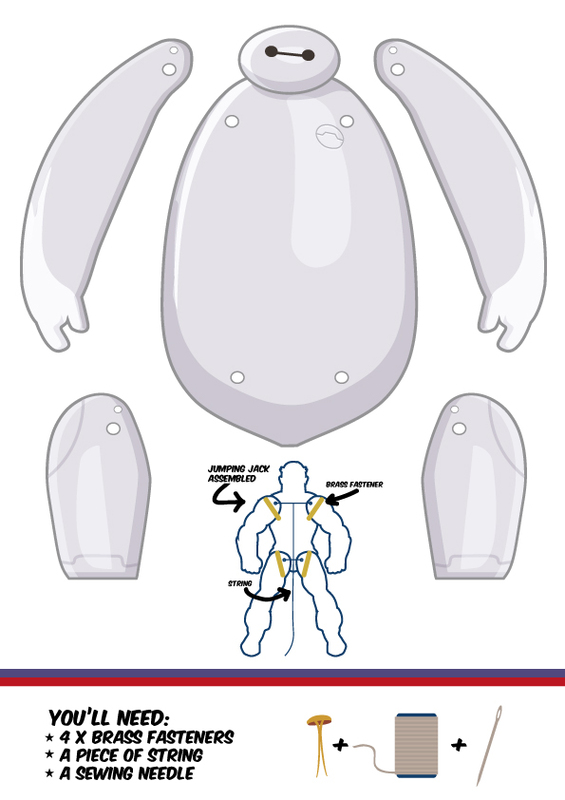 The robot is available in both its original chubby design and in his hero costume. 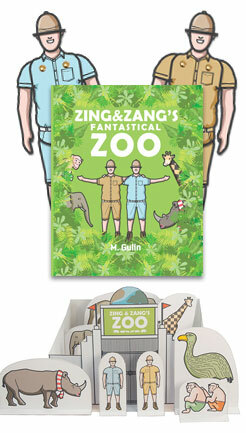 Simply download the file by clicking the link below and then just print, cut and assemble! 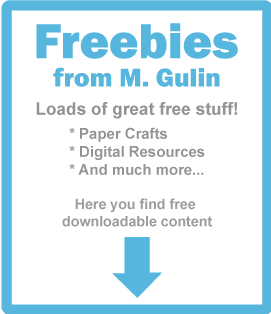 Content: Paper Puppet templates and instructions. No consigo hacer q se muevan los brazos y las piernas!! 😥🙈… Me podéis echar una mano??? 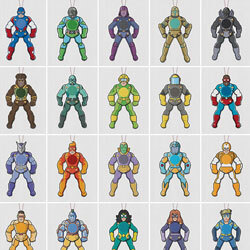 How do I thread the superhero puppets or how do I make it into a jumping jack/string puppet? THANK YOU!! MY KIDS CANT GET ENOUGH OF YOUR CREATIONS!! HOW ABOUT FEMALE SUPER HEROES LIKE BATGIRL, CAT WOMAN, WONDER WOMAN ETC. My son is having a Big Hero 6 Birthday party soon.